Where do your thoughts wander when they get a chance to get and let loose? Positively speaking, I mean. Negativity is a journey in and of itself that I don’t want to focus on for this post. Instead, why not tell some of the things you actually *like* to daydream about? Things that will put you in a good mood by just thinking about them. Personally, I can name about three main subjects my own mind gravitates towards that put me in my happy place. The people that I love are right at the top, for obvious reasons. The next two are my creative outlets: writing and cooking. I’m kinda shy about talking my writing and since this is after all a food blog, let’s just focus on that. It’s hard for me to try and estimate how many times a day my thoughts will go to cooking or baking. Too hard to even really try, so I won’t. But it’s a lot. I think about what I’ve already cooked or baked. I think about what I want to cook or bake. Then, I think about how I want to cook or bake it. I start planning the things I need to get from the grocery store, timing out when I’m going to cook or bake throughout the day. I have to decide if it’s something I want to blog about it. If it is and it’s winter, I also need to factor in time enough to take pictures before it gets dark. Quite a bit of thought goes into every post I share here, and this one was no different. Alright, so boom: I was sitting in a hard, wooden, and very uncomfortable chair waiting for my niece’s preschool to get out so I could pick her up. My mind wandered to bread baking–a very common place it likes to visit. I started thinking about types of shapes that I could mold it into that would both photograph well and be different than what I’d done before on the blog. I’ve done scrolls. I’ve done knots. I’ve done flowers. Crescents, wreaths, scrolls, skulls, sticks. I’ve made twisty, elaborate, shaped loaves. I’ve made tear and share batches, as well as plain, round rolls. I’m not trying to blow my own horn, I’m just saying all this to emphasize that it takes some imagination for me to come up with something new for me to do so far as bread shaping is concerned. I’m not exactly an amateur baker, but I’m not sure I’d call myself an expert either. So when I’m planning out my next baking projects, I try and make sure that my plans don’t get too ‘lofty’ to the point where it’s something I’m not able to execute. There are some bread bakes I’ve seen that are far and beyond anything I’m currently capable of–they’re made by truly spectacular, talented bakers that are goals for me. The things I do are relatively simple to do, but I aim to still make them pretty. Hand to God, that’s literally how I came up with these. 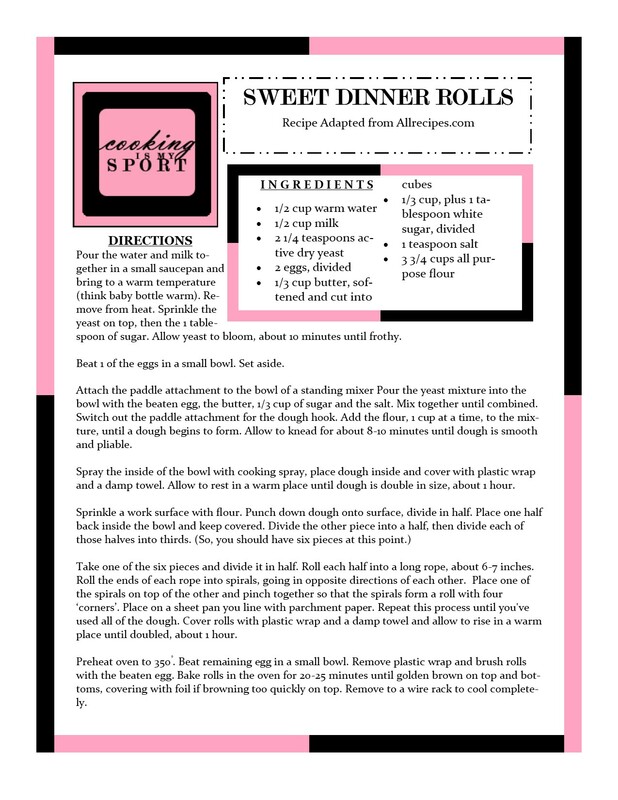 The dough is simple to put together and the rolls themselves are easy to assemble. And yet,(if I may say so myself) they still look pretty good. I’ve actually been making these rolls for years, except I’d just been shaping them into simple balls and letting them be dinner rolls in the cast iron skillet. I’d like to emphasize that if you want to try this recipe, but the shaping intimidates you, it’s ABSOLUTELY fine to forgo the shaping altogether. After the first rise, just portion the dough into regular balls, arrange them in a cast iron skillet/cake pan/or 13×9 baking dish and bake them that way. They’ll still be fantastic. The shape of the rolls is really just two pieces of dough that I rolled into scrolls. I then laid one of the scrolls on top of the other and nudged the coils close to each other into a ‘square’ shape. By the time they proofed and baked, it looks like they’re intricately woven and what not. These bake up puffy and fluffy on the inside and as the title suggests, they are on the sweeter side. They’re a huge favorite here in our spot, and if you decide to try them I have a feeling they’ll become one in yours too. Linking up this post to Fiesta Friday #197, co-hosted by Laurena @ Life Diet Health and Trupti @ My Culinary Saga. Pour the water and milk together in a small saucepan and bring to a warm temperature (think baby bottle warm). Remove from heat. Sprinkle the yeast on top, then the 1 tablespoon of sugar. Allow yeast to bloom, about 10 minutes until frothy.Beat 1 of the eggs in a small bowl. Set aside. Attach the paddle attachment to the bowl of a standing mixer Pour the yeast mixture into the bowl with the beaten egg, the butter, 1/3 cup of sugar and the salt. Mix together until combined. Switch out the paddle attachment for the dough hook. Add the flour, 1 cup at a time, to the mixture, until a dough begins to form. Allow to knead for about 8-10 minutes until dough is smooth and pliable. Spray the inside of the bowl with cooking spray, place dough inside and cover with plastic wrap and a damp towel. Allow to rest in a warm place until dough is double in size, about 1 hour. Take one of the six pieces and divide it in half. Roll each half into a long rope, about 6-7 inches. Roll the ends of each rope into spirals, going in opposite directions of each other. Place one of the spirals on top of the other and pinch together so that the spirals form a roll with four ‘corners’. Place on a sheet pan you line with parchment paper. Repeat this process until you’ve used all of the dough. Cover rolls with plastic wrap and a damp towel and allow to rise in a warm place until doubled, about 1 hour. Preheat oven to 350°. Beat remaining egg in a small bowl. Remove plastic wrap and brush rolls with the beaten egg. Bake rolls in the oven for 20-25 minutes until golden brown on top and bottoms, covering with foil if browning too quickly on top. Remove to a wire rack to cool completely. Perfectly baked rolls, thanks for the recipe and the amazing photos! I appreciate that Chef, thank you! Jess, can I come over for a coffee to enjoy these delish dinner rolls? 😀 They look so pretty, too. Thanks for sharing and happy FF! PS: My mind is always busy that I think sometimes it might just overheat. Posted	 November 12, 2017 at 3:22 pm by alittlemadsmith- DIY, craft and cupcakes! Posted	 November 13, 2017 at 3:52 am by alittlemadsmith- DIY, craft and cupcakes! These look so pretty Jess. I would love to have some. Shaping them is so much fun isn’t it 🙂 Thanks for sharing with FF. I made bread too last week. Your rolls look really great. I’d like to make this recipe! I’ve missed being on your blog…been so busy cooking and photographing old blog recipes for the holidays. Yum!! You’ve got me craving sweet bread for breakfast 🙂 pretty design! They’re gorgeous, Jess! I think you should call them Celtic Knots. I love daydreaming about making food, too. Sometimes I like making more than eating, but I do really love watching friends and family enjoying what I make. So there’s maybe a wee bit of ego involved! I wish I could have one or two of those!